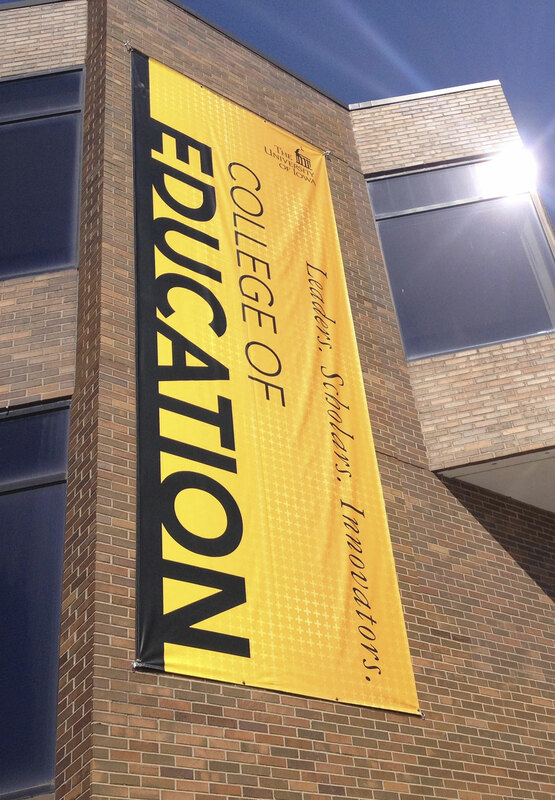 The University of Iowa College of Education has a rich legacy and is known around the world for its distinguished faculty, top-ranked programs, and educational leadership. The College wanted to refresh their communications to better highlight their brand attributes. Creative Mellen was brought in to design a brand with a new strategy in place—highlighting the importance of the past but featuring the future of the program. For the creative, we developed imagery flowing into the typography of education—visually showing that the college is made up of those who occupy it and are connected to it. These treatments are used throughout communication materials, especially in the redesign of the alumni magazine and recruiting brochures. Because the college’s physical location was not easily identifiable, we determined environmental signage would be an important component of the brand launch. We also developed other methods to incorporate stories and brand strengths through banners, digital screens, and posters throughout the college’s interior.